Greetings to all blog readers in the matchless name of our lord Jesus Christ. Our battle is not against the blood or flesh. 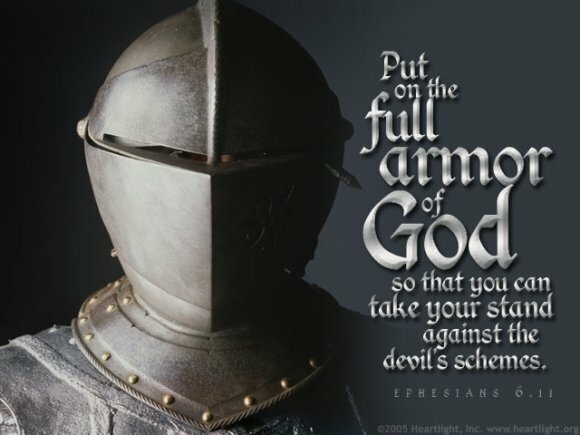 Rather it is against the spirit of darkness and so, the weapons of our warfare is not carnal, but mighty through God for pulling down the strongholds. Though we walk in flesh, we must not fight the warfare with the help of flesh. Let me use a mathematical term over here which will be very easy for you to understand. The spirit is inversely proportional to flesh, which mean if the spirit is strong, then automatically the flesh will be weak. If the lust of flesh is strong, the spirit will be weak. Now let me use a biblical term over here which is more convenient. Galatians Ch 5:17 says,” for the flesh lusts against the spirit and the spirit against the flesh, and these are contrary to one another.” Then how can we win over the lust and the desires of flesh ?….The answer is in Galatians 5:16, ”Walk in the spirit and you shall not fulfill the lust of the flesh.” Including me, our problem is that we fight our own battle. We fight the battle of spirit with the help of flesh. Now I would really like to glean some beautiful revelations out of this….Why you cannot win the battle with the help of flesh? Most of us might have watched wrestling where we can see a winner and a loser, because their battle is between and against the flesh…But you cannot battle against the spirit of darkness like a wrestling champion i.e. against the spirit of darkness with the help of flesh. The flesh was strong when God created man; he clothed man with his glory… (Illustration: He clothed us with His glory just like the light covering the filament of a glowing bulb…we cannot see the filament when the bulb is glowing but when it is switched off, you can see the filament). Likewise, man was also covered with light and glory of God but due to sin, all men fell short of the glory of God. We are like a switched off bulb, without light. Our nakedness can be seen without this light but the light of the world stepped down into the darkness…and drew us out from the darkness into the light. All glory to Jesus. So it is foolishness to fight the spiritual battle with the help of flesh, because the flesh is not strong enough to fight against the spirit of darkness. I remember someone saying to me, “ brother, when I am carried away with the temptation, I increase the volume of the stereo system of my car, so that my mind is not carried away with the temptation”…. But my question is, “how long will you increase the volume of the stereo of your car?” This is purely fighting the battle of spirit in flesh. Some people, when tempted, they take the bible and read Psalms 91. Till the end of the chapter, they are not tempted but after finishing it, they are easily carried away with the temptations. Some people start singing gospel songs, some go and watch GOD TV etc. You are giving that liar devil a chance by fighting your own battle. So it is confirmed that you cannot battle the spiritual warfare with the help of flesh because the flesh is weak. But let us see, how Jesus wants to teach us through this incident. Remember, the temptation that came to Jesus and the temptation which come to us are totally different. Jesus was tempted from outside, which means that the devil was trying to put those thoughts from outside, but our temptation comes from inside…i.e. its produced within us. Devil came to Jesus when he was hungry…Hunger is a weakness…He did not come when Jesus was in fasting, but he came after that, when he was hungry. Devil will never attack you when you are strong in spirit. He is good in patience and will wait for an opportune time. When you are weak in spirit, he will come silently like a serpent …without making any noise. During this time, he will play with all his tactics towards you and will try to tear you down from the presence of God gradually. He doesn’t want the result very fast . Instead, he will try all his tactics to pull you down gradually, step by step. He waits for an opportune time which means, he waits for you to be weak on those matters in which you were strong. Now, the bible says that the devil left Jesus until an opportune time…which means he did not go for ever. Why didn’t the devil leave Jesus forever? Or when will the devil will leave forever? Now many of us think that if we pray or fast or read the bible, the devil will leave us forever…. Certainly not! Because God has set a time for the devil and his angels to be put into the lake of fire (Rev 20:10 says,” the devil who deceived them, was cast into the lake of fire and brimstone where the beast and the false prophets are. And they will be tormented day and night forever and ever). Until this set time, the devil will work out his tactics to make us weak in spirit. So what we must do here ? We should walk in spirit day by day. You can’t be tempted unless you have first thought about it. All temptation is linked to what you think on. Therefore, control your thoughts, and you will control temptation. This is a simple but profound truth. It’s the reason most people fall into temptation. Luke 4:1 says, ”Jesus was filled with the Holy Spirit and was led by the Spirit.” Many received the spirit but are not filled in spirit. If you are filled with the spirit, then the spirit must govern you and the spirit must lead you. If you are not willing to be filled with the spirit, then dear reader, who is leading you? Ask yourself…. How can you be filled with the spirit…? We need bread to strengthen our body. Likewise, we need to strengthen the inner man (spirit). You must fill yourself with the Word of God daily, speaking in tongues. Besides, praying daily, fasting, keeping the commandments ; in other words, having fellowship with God will strengthen your inner man. There is always a warning indication in a car. When the petrol is less in the car, the driver stops his car in a petrol station to fill the tank. Likewise, there is always a warning buttons in our spiritual life. God has put a supreme court inside us… that is the inner conscience which speaks to us that we are guilty. God will give warning through the word and through the holy spirit or by this Rhema. Just like the car is halted in the petrol station..you need to wait and halt in your life to fill yourselves… which means you need to sit in the presence of God to fill up the empty places in your life …. Wait for the power and grace of our lord. In another translation, it is written, “the devil left Jesus for a season”……Which is that season where devil is waiting to attack you ?…It is not that season in which your bear much fruits for the lord, but he tempts us when we are in ‘out of season’ …i.e. when we are weak , when we give up , when we backslide and, when we are tired of situations. All these are opportunities for Satan to work out his weapons well on you. He will come like an angel to you, and even sometimes show you the things which seem to be right, but the way will be to destruction. Well, we all want to be like God. That’s true, but see the way he led Eve …the way was wrong. He will play with your mind and he will try to get into your nerves so that you will be disturbed from all around. Satan certainly tempted Jesus in the beginning of His ministry (Matthew 4:1-11). Satan dangled perverted means before Jesus to accomplish legitimate ends. The real temptation was never about turning stones into bread. It was Satan’s attempt to manipulate Jesus into doubting His Father’s Word and doing something to prove who He was., gaining recognition as a spiritual leader, and reigning over the earth were all a part of Jesus’ plan. Satan takes legitimate desires and twists them. He will show you good desires but wrong ways of fulfillment. Stealing is not the way to feed a family. Lying is not a way to hide the truth. Devil will show short cuts, but Jesus said,” I am the way.” Walk with Jesus and don’t use short cuts in your life. According to James 4:7, ”Submit yourselves, then, to God. Resist the devil, and he will flee from you.” Let us see this part by part : Submitting, Resisting and Fleeing. Resisting: The word “resist” means “set against, set oneself against, oppose, resist, withstand.” Our problem too often is that we are double-minded, clinging both to our selfish desires and a desire to please God. We must clearly take a stand against the devil and at the same time let go off the desire that gives him power over us. Resisting the devil means to stop flirting with his temptations. To say “no” to him and “yes” to God. If you submit god will give you the strength to Resist. Fleeing: Now the fleeing of devil is very easy if you do the above mentioned submitting and resisting. Bend yourself to the will of God, that is, submit yourself, your mind, your body and when you submit yourself to God …He will then pour out his grace upon you to resist the devil. Our problem is that we resist the devil before submitting to God. Set your mind today and submit yourselves to God. Resist the evil with power and grace of God which is in you and by doing this, no devil in the hell can play around with you and have control over you. See James 4:7 says,” the devil will flee from you…”. Most of us flee from devil because we haven’t submitted ourselves to God yet. Don’t give opportunity to devil (watch all your ways: your talking, your seeing, your dealing with the things and everything with you indulge in must be pleasing to God. Let us submit ourselves to our Father in heaven !